If you’ve been following me on social, you’ll know I’ve just got back from a few days away from Barcelona. But what I wanted to try and do more this year, is visit a alot more places closer to home, but make the trips shorter and cheaper to compensate. For most of us working full time jobs, we get 4/5 weeks of work so I really wanted to use that time doing new things, and seeing more of the world. But if you make travelling one of your priortises and stick to a budget, I’m fairly confident you can go on more holidays than you think. Use comparison websites with private browsing settings. I’m pretty sure everyone already do this, but it’s so important to cross check your hotel/flights across a number of travel comparison websites to make sure you’ve definitely got the best deal. Also, nowadays your search history is so closely monitored by these websites, so make sure to turn on your private browser settings on to avoid any price increases. Be flexible and fly midweek. If you can, consider flying mid week. I found flying really early on a Tuesday/Wednesdays are always cheaper, compared with a Friday/Sat/Sun. Plan your days on Google Maps. To help save time and prevent us from spending too much time underground on the metro or stuck on a bus, or in a taxi – we would plan our whole days out by area, so you’re not constantly going back and forth travelling from one place to another. To do this, we just use Google Maps, where you can add different pins on the map to differentiate by attractions, restaurants and shops. It’s really easy to use, and has massively helped us to utilise our days, to make sure we’re covering everything we wanted to see, in the time that we have. Walk everywhere. Not only does this help with travel expenses, but it’s a good way to discover new places, see new things and get fit all at the same time. Just remember to pack comfy shoes. 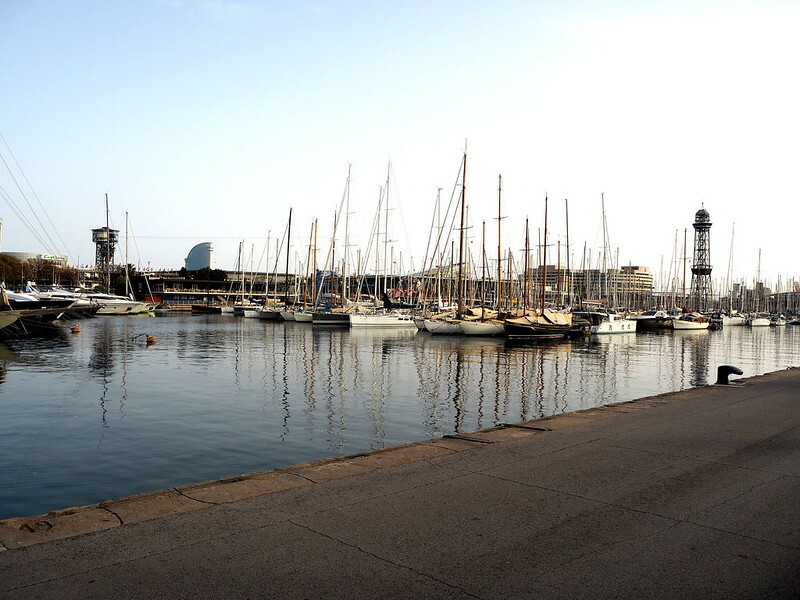 These pictures were from our first day in Barcelona, where we boarded a 6am flight from Manchester and arrived around 9am at Barcelona El Prat airport. 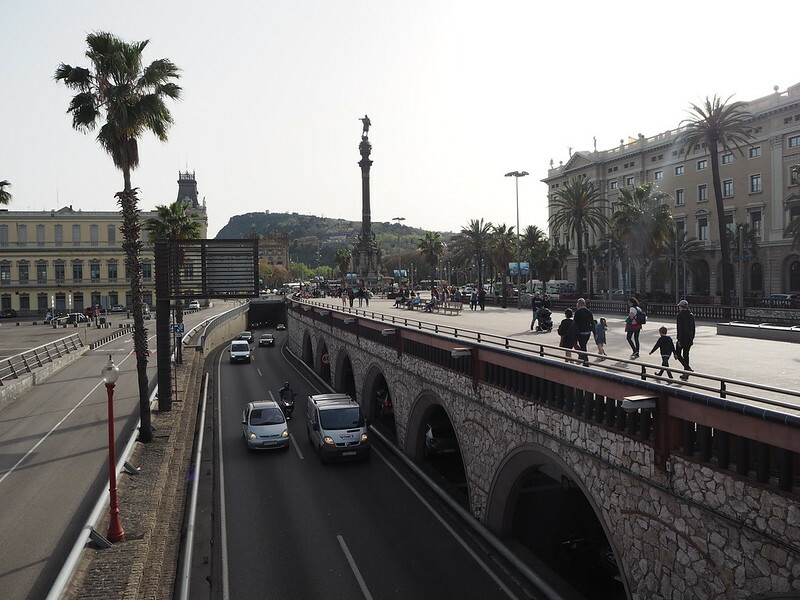 We spent our first day walking around La Rambla, then wandering down the side streets of the Gothic Quater, before heading towards the beach for the evening. Because we only took hand luggage with us, my travel suitcase consisted mainly off dresses, shorts and tees. My favourite being this beautiful Zara dress I picked up a few months ago in their winter sale – I’ve been waiting for soooo long for abit of sun to come out, so I could get this dress on! I paired it with a simple black bralet, some black sandals from Primark, and this amazing chic leather backpack from Radley – at first when I received the bag I thought it was tiny! But it was actually the perfect size for me, where I don’t resemble a school kid!